According to the most recent Active Subdivision Plans map which can be found on the City of Greater Sudbury web site, as of May 2013, Valley East had over 1500 potential lots approved for new houses. This means that our community is in excellent position to handle the tremendous demand for new housing units that is expected to be felt in the region during the next decade. We could easily see our population increase by several thousand people during that time which would have quite an impact on local commercial and recreational activity. This section of Valley East Today is being provided to you by HQ Mortgages Inc. in order to help anyone who is interested in living in Valley East become aware of all of the options that are available. We are not endorsing any of the subdivisions or developments in this section, nor are they listed in any order of priority. Please feel free to go to the links for more photos and information on the various listings. 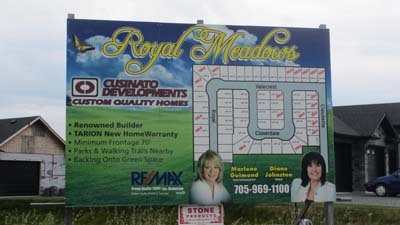 Royal Meadows is located in Blezard Valley off of Martin Road. 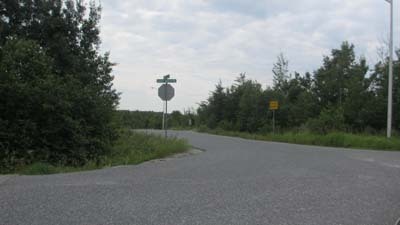 Access to the subdivision is from Royal Street or Claudette Street. Both of these streets connect to Martin Road. There is room for over 60 homes in this subdivision. 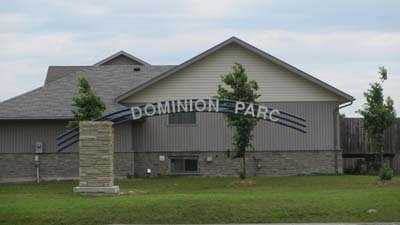 Dominion Parc is an established subdivision located in the heart of Valley East and can be accessed by Jeanne d'Arc Street off Regional Road 80 or by Heritage Street off Dominion Drive. Close to 300 lots have been approved for development, with over 200 already developed. The next phase of the development is ready to begin so there are plenty of good options coming up soon. This is definitely one sudbisivion that should be considered by anyone withing to purchase a new house in Valley East. 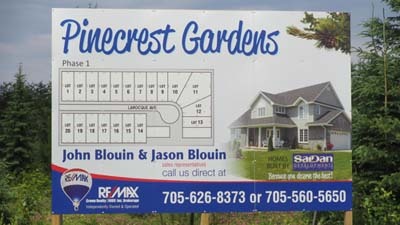 Pinecrest Gardens is beginning its first phase of a subdivision that will eventually contain 54 houses when it is completed. Eventually Jeanne d'Arc Street will continue on the other side of Regional Road 80 when the next phases are developed. The first phase is accessed by Larocque Avenue. Construction on new houses has already begun. 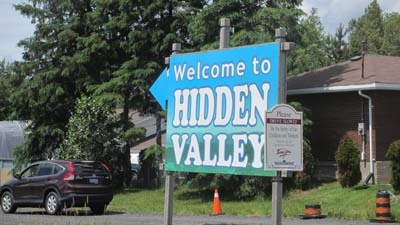 Hidden Valley is one of the premium developments in the entire City of Greater Sudbury. 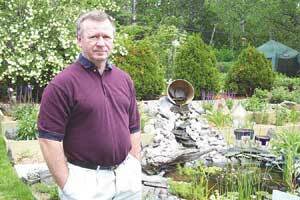 It is located in a vast woodland to the west of Regional Road 80 just as you come into Val Caron. It can be accessed off the main entrance on Regional Road 80 across from the golf course, or via Fifth Street at the bottom of the hill. There are about 50 lots being developed in the first stage, with most of them already sold. They will be ready to enter the next phase of what will eventually become a 431 home subdivision. The attraction that is most appealing to people about this development is its proximity to Sudbury for work and shopping. At the same time, residents get all the benefits of living in Valley East. 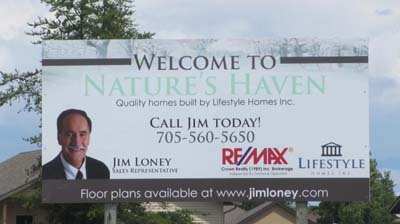 Nature's Haven is a subdivision that is being developed in Hanmer at the end of St. Michel Street. The first phase is scheduled to produce a total of 72 single family dwellings in a picturesque setting that is far enough out of the way to provide peace and quiet for residents, but close enough to all of the amenities to make this a prime location. Phase II of the Nature's Haven developments will include another 85 lots upon which we may expect to see townhouses or semi-detached homes as well as single family dwellings. 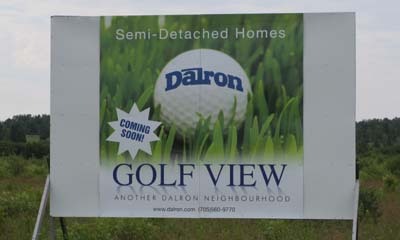 Golf View is a development that will include semi-detached homes built on 35 lots that are situated on Main Street East in Val Caron. For people who have been living in the Valley for some time, this is the site of the former Valley Driving Range prior to it being moved to the Valley Family Golf Centre in Blezard Valley. This is another Dalron development and is eagerly being awaited by many residents who are seeking affordable homes in the area. 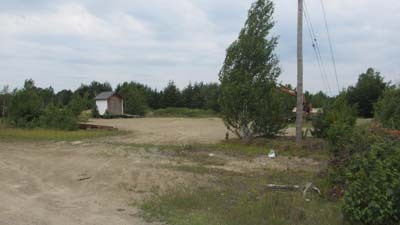 It may not look like much right now, and there has not been any activity to date, but Valley Meadows, which is located behind the Val Est Mall in Val Caron, has been approved for 149 lots and some day in the future could be a huge development for Val Caron. The Whitson Lake development is located off Kalmo Road in Val Caron. When you come to Whitson Lake Drive you will turn left and enter one of the most picuresque developments you will ever find. The Google Satellite Image will give you an idea of what it is like from the air. The pictures will give you an idea of what it looks like from the ground. The Street View on Google will take your breath away. There will be a total of 32 estate homes built in this subdivision. At the present time there are around a dozen or more already built. Here is a link that will take you to a map showing the subdivision developments that have been approved in the City of Greater Sudbury. 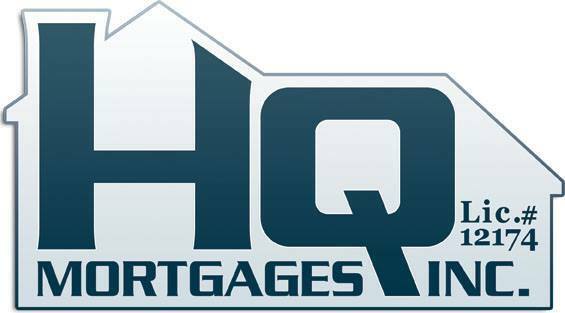 Independent Mortgage Brokers like HQ Mortgages Inc. have a variety of experienced Mortgage Agents who are able to work with you to find out what your goals are and find a lender who is able to meet your needs. We become your mortgage advisor and can help you navigate some of the challenges that traditional banks do not want to get involved with. Once we determine your needs, your Mortgage Agent finds the right lender willing to meet most of your terms and conditions. This saves you from having to search out lenders on your own. Your Mortgage Agent will communicate with the lender to negotiate the terms and conditions on your behalf. Lenders are more willing to give Mortgage Brokers preferred rates in order to get their business. This means that the rates your agent gets will be as low as possible. 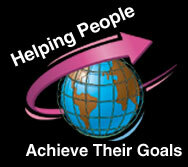 Mortgage brokers are often receiving special deals and incentives from lenders who have money for mortgages. Chances are that you may benefit from these deals and some additional benefits. When the closing date is set, it is important that all of the details are completed in a timely manner. Your Agent will make sure that everything is done in time for closing. Mortgage Brokers and Agents are Licensed and must constantly take upgrading education in order to be on top of the mortgage industry. We also have agents who have personal and professional experience in a wide range of areas, so your agents work together to help solve your specific problems and challenges. You get all of the consultation advice and assistance from your Mortgage Agent at absolutely no cost to you! 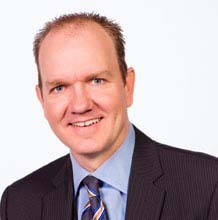 The Mortgage Agent receives a commission from the lender. The end cost to you is no more than the end cost would be to you at a traditional bank since the banks also pay their mortgage representatives a salary or commission. So you get all of the advantages of having an agent working for you and helping you navigate through the complexities of getting a mortgage and it does not cost a thing. Once you find a good Mortgage Agent, you should stay in touch with that person even after you have your mortgage secured. Remember that every five years your conditions will change and you may want to talk to your agent about any renewal options that might be available. Your Agent wants to develop a long-term relationship with you and your family.